Dying during or immediately after physical activity occurs rarely. But the exercise-related death of a prominent Wall Street executive last week nevertheless raises concerns for people who want to keep active during middle age and later years. Regular exercise is a cornerstone of good health, and its long-term benefits for both longevity and protection against heart attacks, cancer and other ailments are supported in many studies. Doctors say there are strategies to reduce the already low likelihood of a workout turning into a tragedy. Growing numbers of people are moving through middle age determined to stay active with competitive sports and regular exercise. Doctors urge others who are on the sidelines to join in to improve their health. “There is unequivocal evidence that regular physical activity and exercise have multiple benefits that far outweigh any risk of the exercise itself,” says Jonathan A. Drezner, director of the Center for Sports Cardiology at the University of Washington, in Seattle. But, while a person is doing it, rigorous exercise, whether on a treadmill, a road race or a basketball court, does elevate risk for sudden cardiac arrest, a typically fatal event that can be triggered by a heart attack but is the immediate result of an out-of-control arrhythmia that causes the heart to stop beating. The majority of sports-related sudden cardiac arrests occur among people above 35 years old. Most victims are men and most already have heart disease whether they know it or not. “The risk is much greater for people who don’t exercise on a regular basis,” Dr. Drezner says. “The weekend warrior who goes out to crush it once a week” or less often is much more vulnerable than the person who gets three to five cardio workouts a week. For a sedentary middle-age person who wakes up one morning and suddenly decides to become a “lean, mean fighting machine in a month, that’s a bad idea,” says Sumeet Chugh, associate director of the Heart Institute at Cedars Sinai Medical Center, in Los Angeles. “You should make fitness a goal, but a gradual goal,” slowly increasing intensity over several weeks or more. Another worry is that heart disease often goes undetected. In as many as half the cases, a heart attack is a person’s first symptom of significant coronary artery disease. That raises the stakes on controlling cholesterol, blood pressure and other risk factors. A potentially troublesome aortic aneurysm, a bulging in the main blood vessel that carries blood away from the heart, rarely causes symptoms and poses a challenge for early detection. Dr. Chugh, co-author of a recent article titled “Sudden Cardiac Death in the Older Athlete” in the Journal of the American College of Cardiology, lists these markers for high risk: a 10-year risk of coronary artery disease greater than 5%; very high cholesterol; diabetes; a strong family history of sudden cardiac death or early heart disease; or a body-mass index, a measure of obesity based on height and weight, over 28. A sedentary person who checks any of these boxes should get a thorough cardiac evaluation before participating in sports or embarking on an exercise program, he says. Victims of sudden cardiac arrest often miss or ignore signals of heart risk, researchers say. A recent study found more than one-third of people experienced typical heart symptoms in the week before the event. A recent study Dr. Chugh led of cardiac-arrest cases in the Portland, Ore., area illustrates how rare such events are. It examined 1,247 sudden cardiac arrests that occurred among people ages 35 to 65 during an 11-year period ending in 2013. Researchers found that just 5%—63 cases—were associated with sports activity, including 17 arrests during jogging, seven during gym exercise and others during such activities as basketball, cycling, golf, volleyball and soccer. The analysis, published in April in the journal Circulation, said the incidence of sports-associated sudden cardiac arrests was 21.7 per million residents per year, compared with 555 per million for arrests not associated with sports. 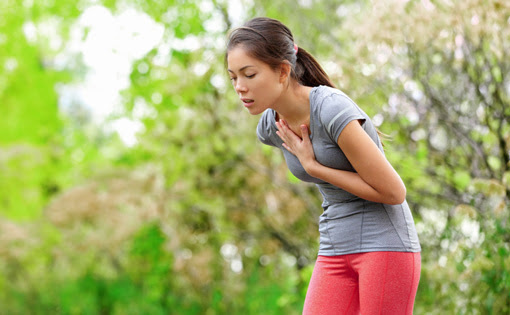 Extrapolating the findings to the entire U.S. population, researchers estimated that 2,269 men and 136 women suffer a sudden cardiac arrest associated with physical activity each year. This entry was posted in Articles, Fitness, Heart, Injury, Prevention, Science, Training by sportsmedicineweekly. Bookmark the permalink.